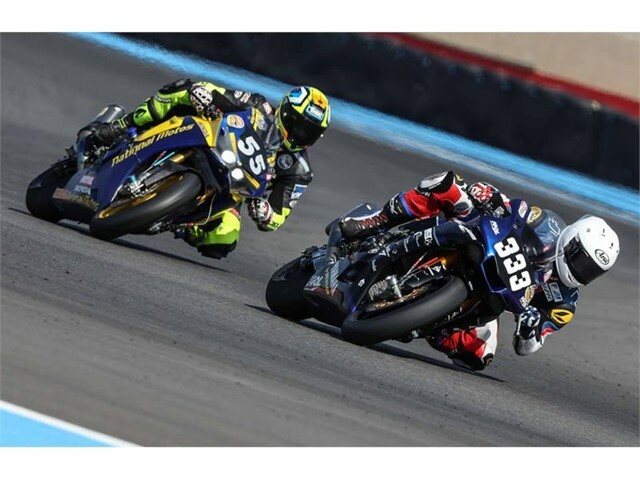 The 2018/19 FIM Endurance World Championship (EWC) begins with the first round at the Bol d’Or, the iconic 24 hour race hosted at the Circuit Paul Ricard at Le Castellet in the south of France on 15th/16thSeptember. The new season marks the start of Dunlop’s campaign to add to the success tally of 11 championship titles in 15 years. Suzuki Endurance Racing Team and Honda Endurance Racing Team continue to partner with Dunlop in their quest to be crowned champions. Maco Racing will also be working with Dunlop as a partner team, as will former superstock team #333 Team Yamaha Viltaïs which has switched to the main EWC class this season. In the Endurance World Cup class, Dunlop took a 1-2-3 last season, with bike #4, Webike Tati Team Trickstar, looking to retain the title, competing against fellow-Dunlop squad Junior Team Le Mans Sud Suzuki, last season’s runners-up. Moto Ain is also looking for more race wins and to improve on last season’s third place. 34 of the 59 entries have chosen to race on Dunlop tyres in the Bol d’Or. The teams have no tyre restrictions for the race this year as the track has been resurfaced and slightly modified since the 2017 Le Castellet round. New for 2018 – points are now to be awarded for the top five qualifying positions bringing new importance to grid positions. Dunlop will work with the teams through the season to maximise points-scoring potential. 27 of the Bol d’Or entries are registered in the Dunlop Independent Trophy – the competition for independently run teams. Prize money is available for each round, aimed at assisting privateer teams who compete in the entire World Championship. Unlike the remaining rounds, tyre use is unlimited for the event due to the revised circuit and surface. The surface is known to be more abrasive than previous events but in testing the partner teams were positive about the new front and new rear Dunlop tyres with good times, grip, durability and feel. Private teams will be using two different compounds of the 120/70 R 17 KR106 front tyre (medium/hard and hard) with a choice of four compounds (soft, medium, medium/hard and hard) for the 205/60 R 17 KR108 rears. Factory supported teams will have two front tyre options and five rear compounds to choose from. This season EWC teams are likely to double-stint the front tyre and single stint the rear tyre while Superstock teams (with a longer wheel change procedure) will generally have a four to six stint strategy on the front tyres and two to three stints on the rear. However, with no tyre restrictions for the Bol d’Or, EWC teams are likely to single stint both front and rear tyres. The Bol d’Or race begins at 15.00 CEST on Saturday 15thSeptember. The full entry list can be found at https://www.fimewc.com/.